It's a work of art I tell you! 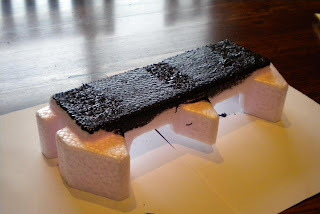 Check out the EHDDVD (External Hard Disk Drive Vibration Dampener) I made. That's right, it's sole function is to stop this awesome piece of data storage from vibrating my desk. 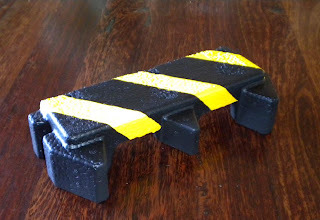 I started with a piece of packing foam with some nice angled corners, and painted it in industrial black and yellow warning stripes. Artwork! See action shot here.